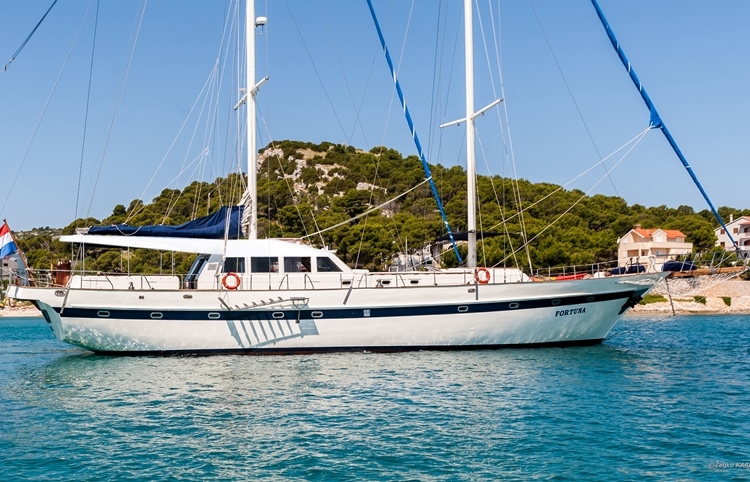 Gulet Fortuna is a spacious boat, suitable for bigger groups. It was completely refitted in season 2009. 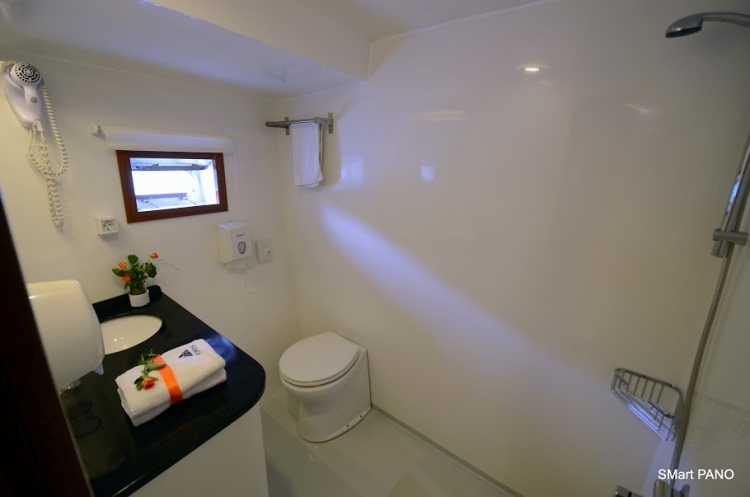 Fortuna provides accommodation for up to 14 guests in 4 double + 3 twin cabins, all with en suite bathroom and air conditioning. 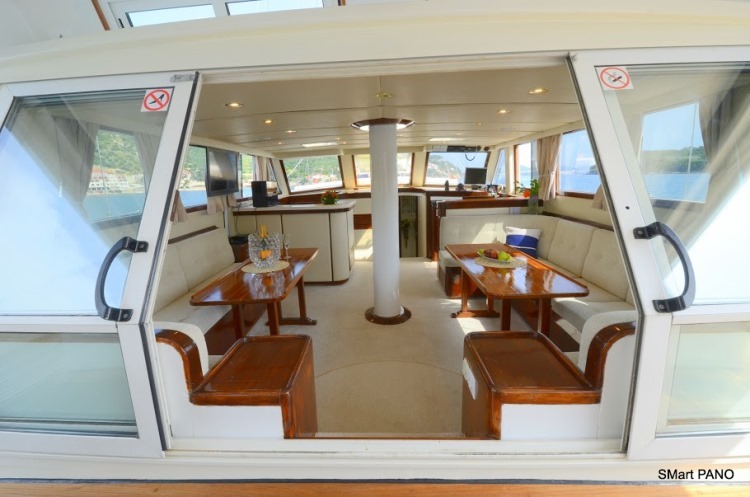 The boat has large indoor salon with 2 seating zones with tables. 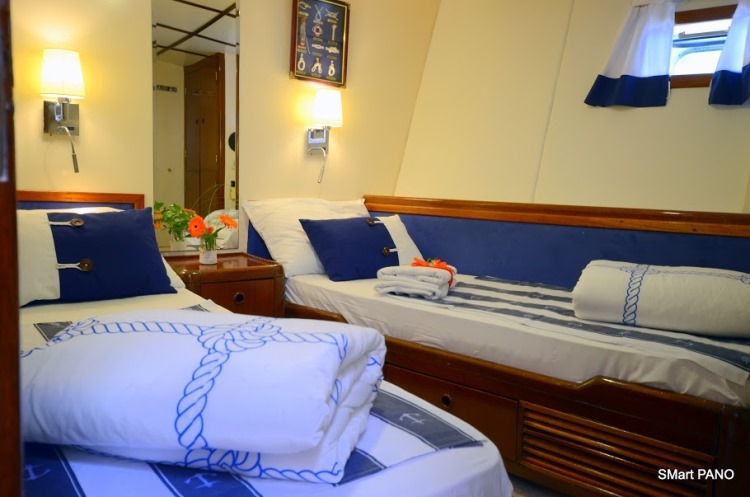 The deck consists of sun bathing zone, covered with mattresses and huge eating zone.Our professional crew members (captain, tehnician, cook, deckhand and optional hostess) will make your cruising holidays unforgettable. 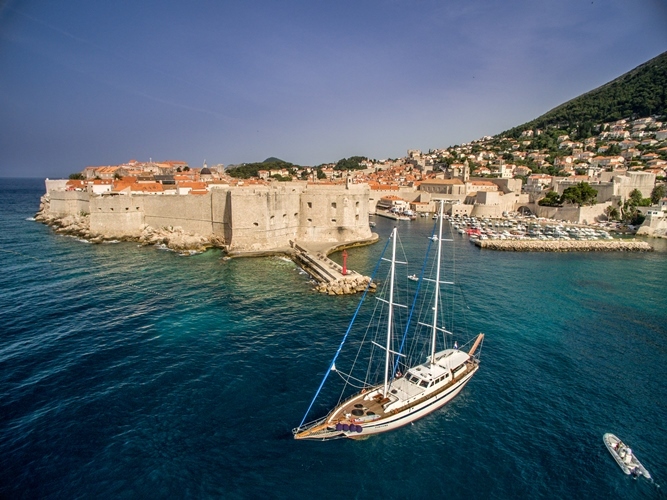 The S/Y Fortuna is one of the most popular crewed sailing yachts in Croatian charter. 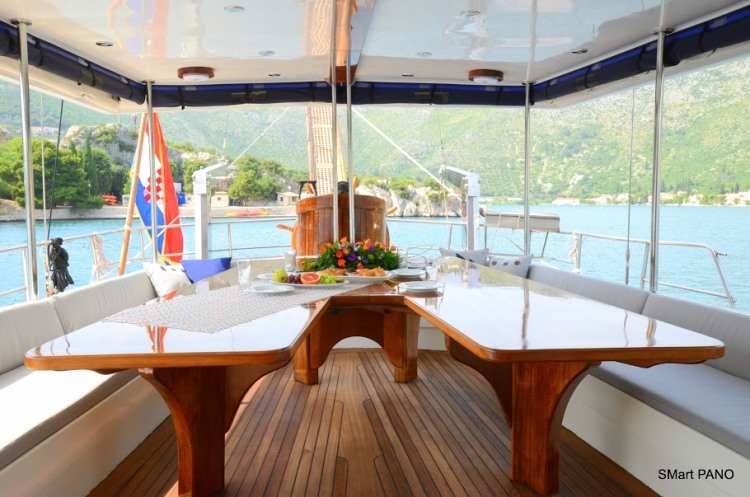 It was one of the first yachts in the Croatian crewed charter scene and still today it is known as one of the best built wooden yachts in the Adriatic. 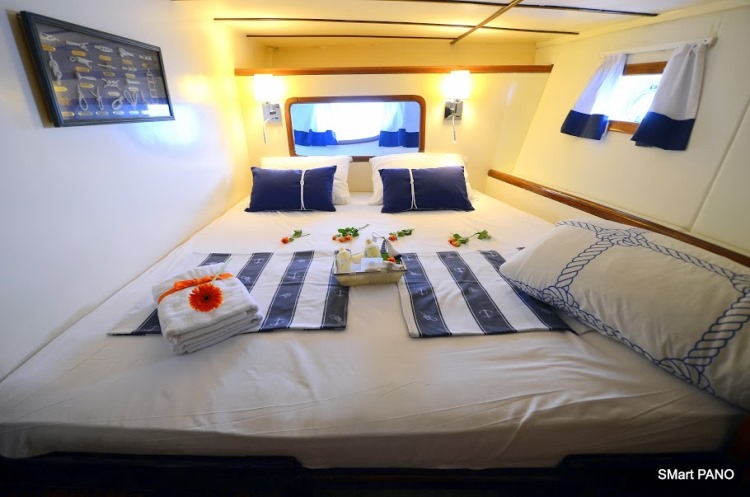 Fortuna schooner – gulet is meant for high tourism and has been given five stars for its accommodations and professional crew who will guide you on your trip. 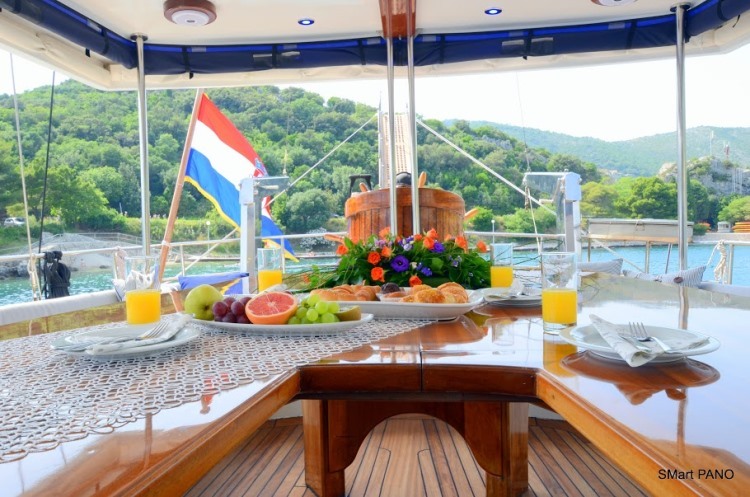 A long time after your holiday at sea you will still be talking about delicious meals, clear water, small villages and natural bays. 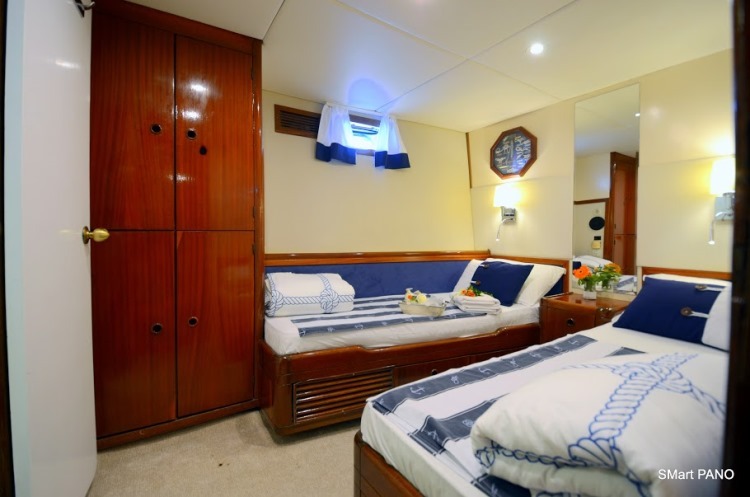 M/Y Fortuna is a classic two masted caique – of approximately 33 m length – with spacious interiors and a comfortable and large cockpit. 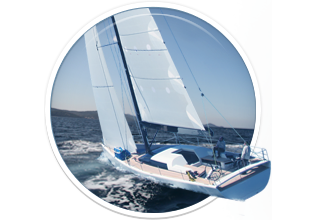 If you love the sea, the nights in a desert bay under a starry sky, berthing in a small fishermen’s port, forgetting everyday life and problems, discovering everyday a different island, eating in a nice tavern by the sea, making new friends and never being bored…well, if you love all this, then go aboard the Fortuna schooner! All of Fortuna’s sails are functional. 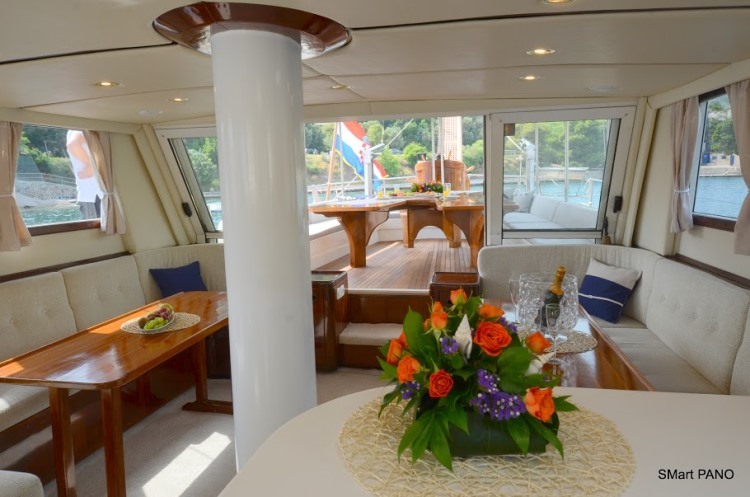 On the bow there is plenty of space for sunbathing and on the stern we have a large area to accommodate the dining table. This, like the sun deck can be covered by tent and is an ideal place to relax and enjoy the tasty Mediterranean food prepared by our talented chef. 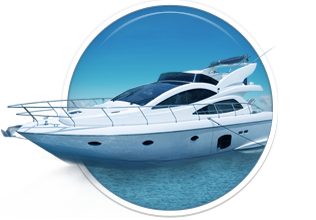 All these things, coupled with our experienced professional crew allows you the freedom to visit some of the most beautiful and remote destinations of the Adriatic in complete security and with the knowledge that we will ensure your stay with us is truly amazing. 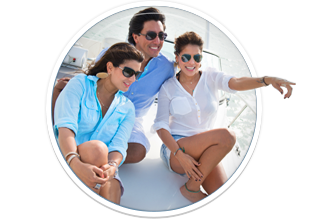 Due to a high interest in our tours, it is recommended that you book ahead of time so you are able to get the which you wish to travell. 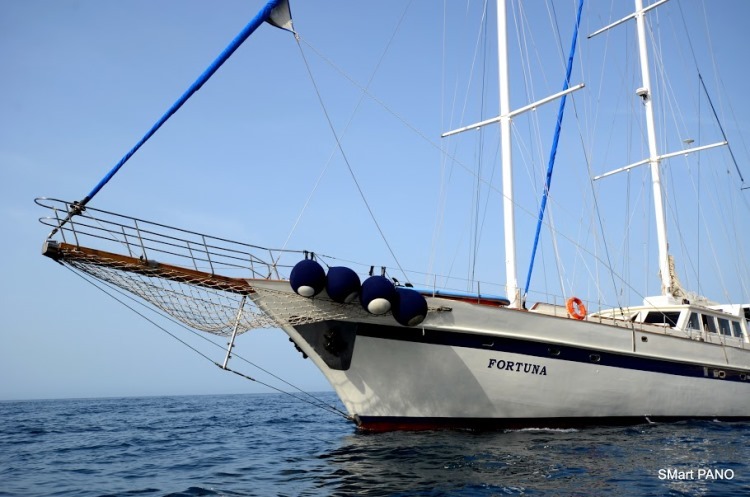 Here you can find basic information about Gulet Fortuna. 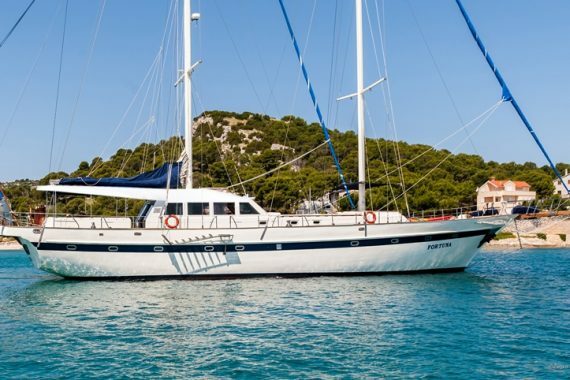 Other specifications, can vary from boat to boat, therefore we recommend to search for particular Gulet Fortuna from our database, in the destinations of your preference.